Many got super excited when Power Star Pawan Kalyan entered politics and launched his party Janasena. However few of his diehard fans got crestfallen and dejected as they feared that Pawan's power cannot be seen on screen again. Pawan too revealed the same on many occasions but backtracked following huge protests from fans. 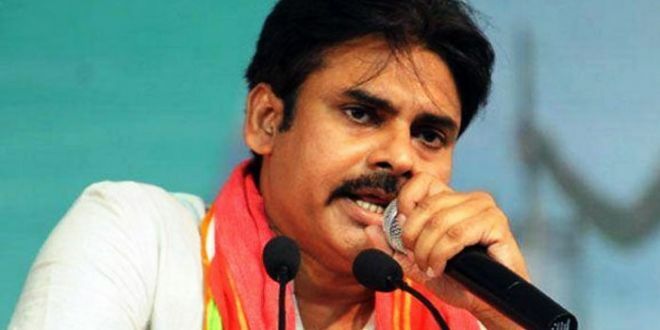 Finally, Pawan made it clear that he won't be starring in films, once he enters politics and he is currently extremely busy, campaigning and formulating strategies ahead of the upcoming general elections taking on all powerful PM Modi, Congress president Rahul Gandhi, AP CM Chandra Babu, Telangana CM KCR and YSRCP chief Jagan Mohan Reddy. Even as Janasena supporters and cadre are making arrangements to celebrate Pawan becoming the Chief Minister of Andhra Pradesh in near future, now reports are coming out that Pawan will show his power on silver screen again. Fans however won't be seeing him on the screen but will see his name as a producer. Pawan is keeping his promise that he will produce films on his banner Pawan Kalyan Creative Works and his first film will begin from August 2019 according to insiders. From behind or in front of the screen, Power Star is the real star says his diehard fans. Star Hero Film Satellite Rights For 40 Cr! RRR: Big Twist In The End!